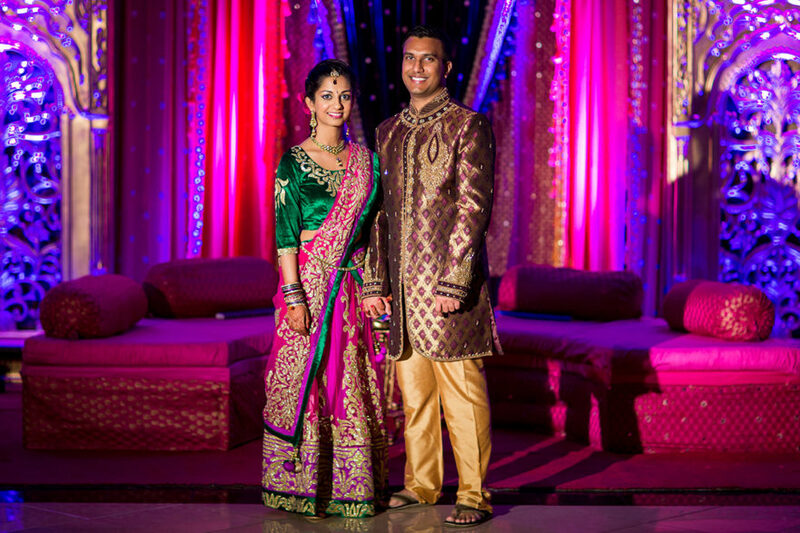 Pranali and Nikhil - Sonal J. Shah Event Consultants, LLC. I can’t thank you guys enough for delivering on every promise, going beyond expectations, really being there for us when we needed it, and overall making our event picture perfect!! The groom’s side showed up 60 minutes late and you all magically brought us back on schedule within minutes. You were there to cater to every random snafu, coordinate the zillions of people without a clue, and you did everything with a huge smile. We were particularly struck by that: although it’s not easy, many people might be able to execute a plan and coordinate 400 guests. BUT not everyone can do it while remaining calm, attentive to the bride/groom and their families, and constantly wearing a smile. You guys are amazing!! Expertise – this is absolutely why you’re the best of the best. I wanted to especially thank Morgan who was a superstar – I always felt at ease when reviewing details with her, and on the wedding day I’m sure she discretely handled all kinds of random commotion without my ever knowing! Also huge thank you to Melissa, who was seriously heaven sent, always proactively catering to my, my husband’s, and my mom’s every need! Thanks to Neeti, whose Gujarati was clutch in shepherding masses of aunties and uncles for pictures, and the full team in case I’ve left anyone out! You guys are truly the best of the best. A lot of people think that as long as you are organized and assertive, you don’t need a planner. I tend to be a bit of both, and also have some experience in planning events. People were a bit confused as to why I was “throwing away money” for a wedding planner that I didn’t need. Working with the SJS team over the last year and a half was the most pleasant part of wedding planning! You are easy to get along with, have useful connections in the industry, and above all else: your team is experienced in every way applicable to the day. It’s not just the obvious stuff like contracts review, menu planning, music preferences, program schedule, and décor. The reason our wedding went flawlessly is because SJS Events thinks of all the small, forgotten things that only years of experience could bring: have a person read off family photo groups from the microphone, prepare plates of food for the bride and groom for lunch and dinner, send tip suggestions for vendors based on contract value – the list goes on and on. Needless to say, there was not a single person at our wedding questioning the presence of the SJS Events team. If not for your team – from the very beginning visioning stages, to executing the planning, to running the show the day of – our wedding wouldn’t have been the flawless dream that it was. You guys are amazing.